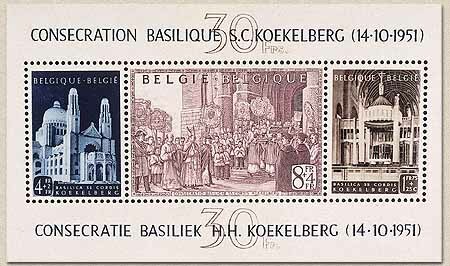 belgian stamps 25th Aniversary of Cardinal Mr J.E. Van Roey and Inauguration of the basilic of Brussel. 25th Aniversary of Cardinal Mr J.E. Van Roey and Inauguration of the basilica of Brussel. Date of issue: 1st of March 1952.